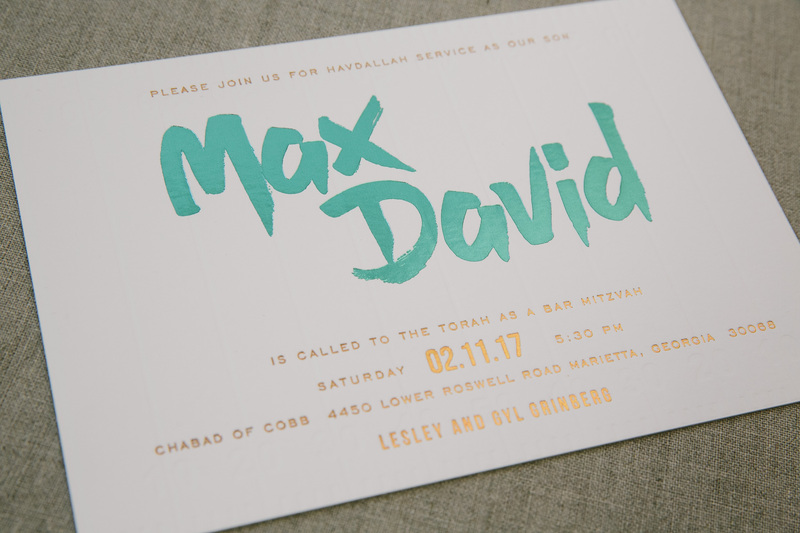 Our friends at Simply Put decided to combine copper shine and teal shine in a refreshing way to create these unique foil stamped Bar Mitzvah invitations. 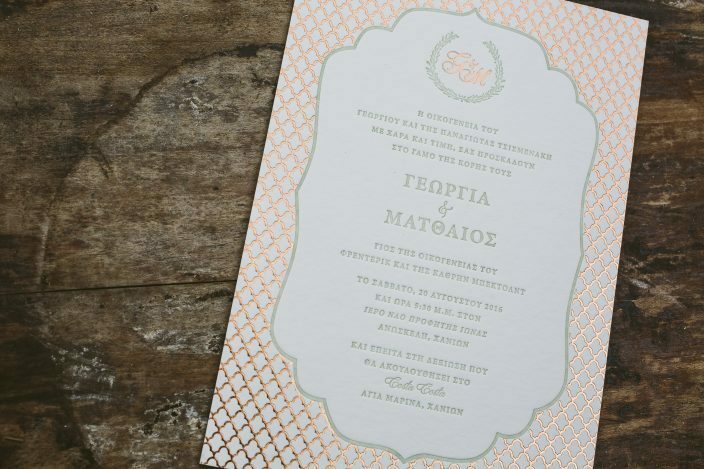 You can also see a subtle blind deboss background added for a touch of texture to this colorful card. 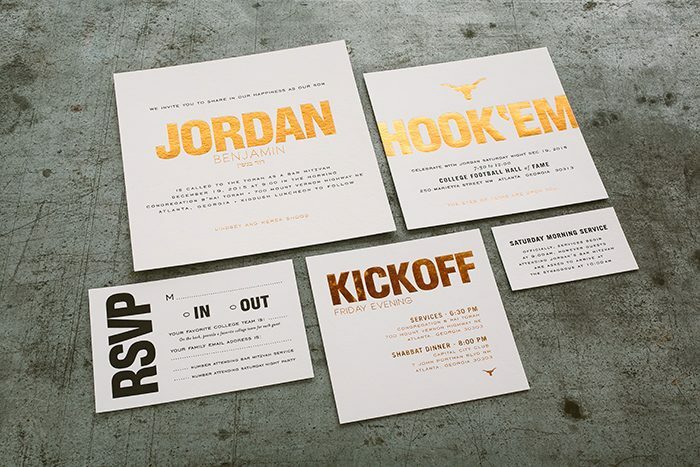 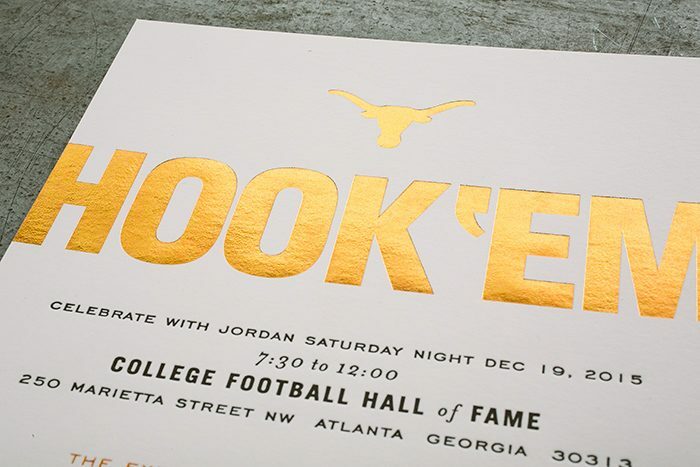 The suite included two versions of the reply card and an eye-catching party card with football shaped typography dressed up in copper chine foil. 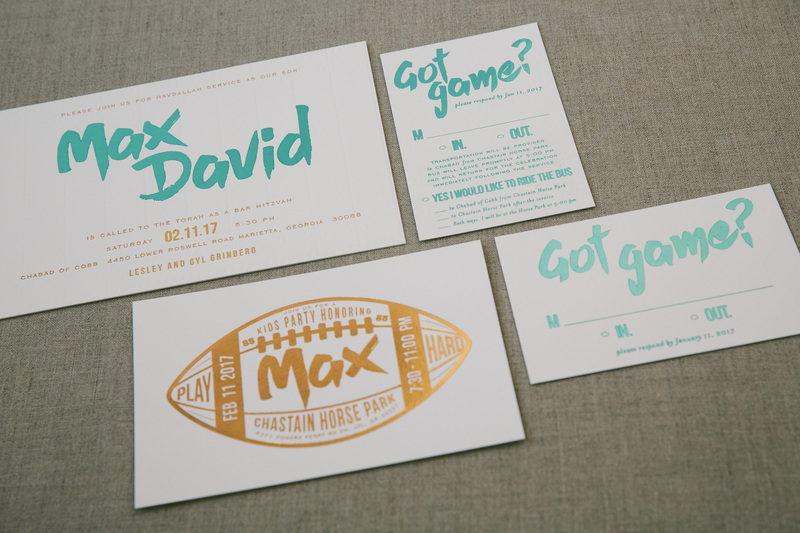 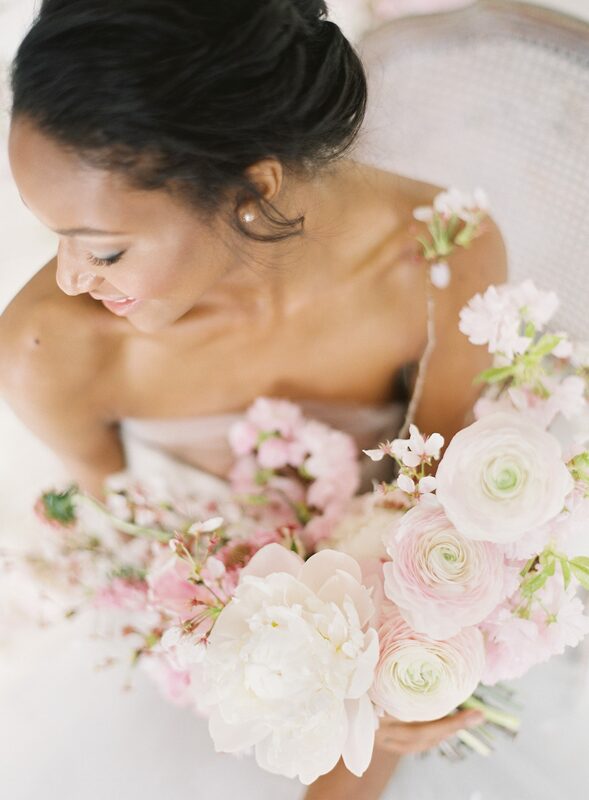 We can’t think of a better way to add a fun yet memorable twist to a party card! 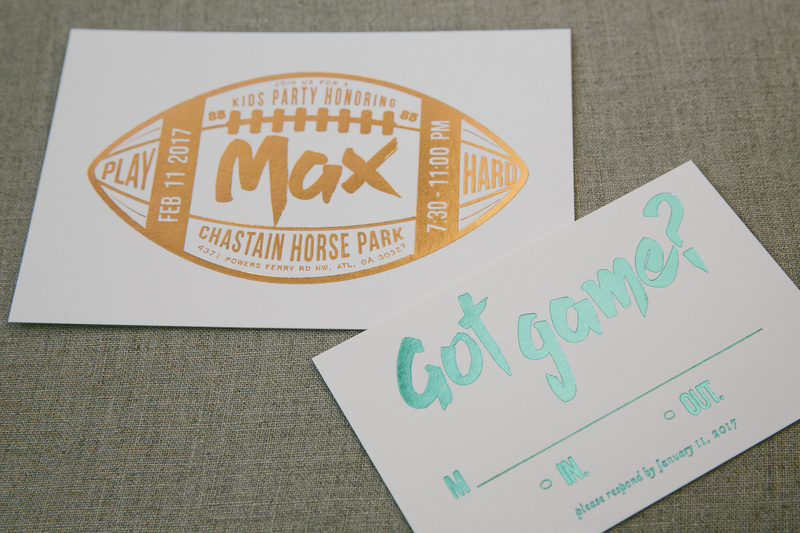 You can easily tell by looking at the suite that Max is a true sports lover and we would agree that his invitation suite definitely has game! 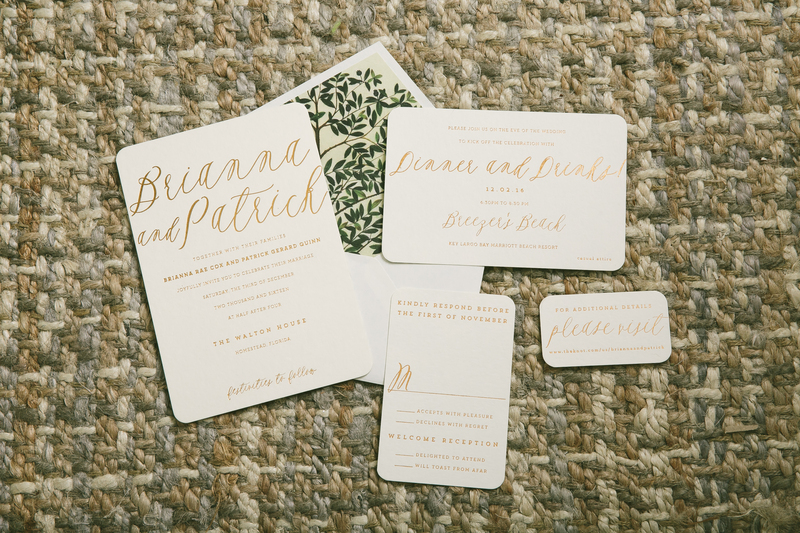 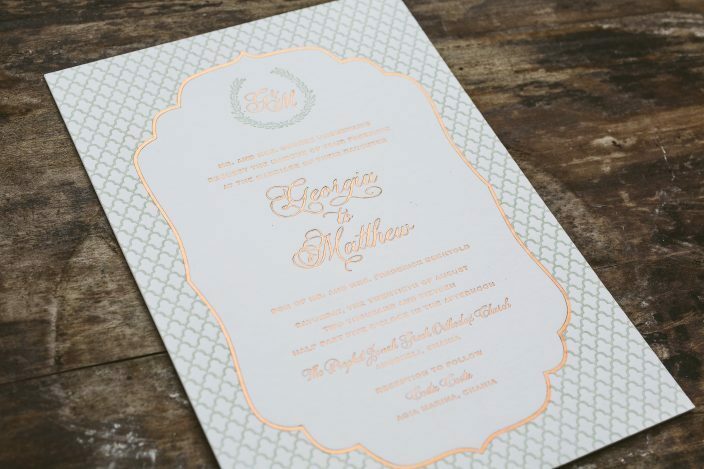 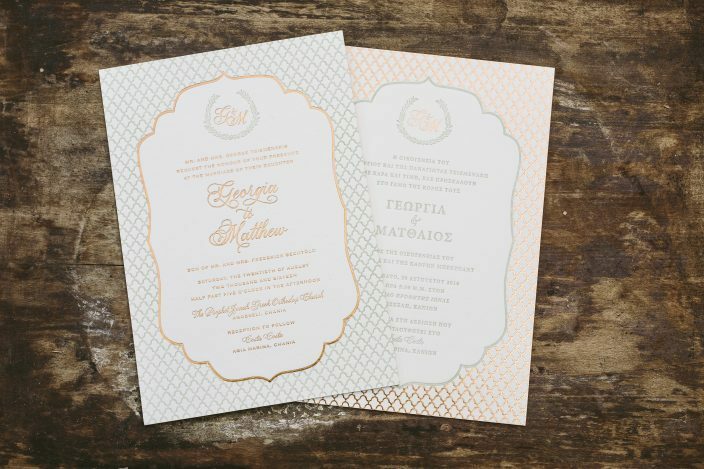 We created Francine and David’s wedding announcements by customizing our Palmer design in copper shine foil. 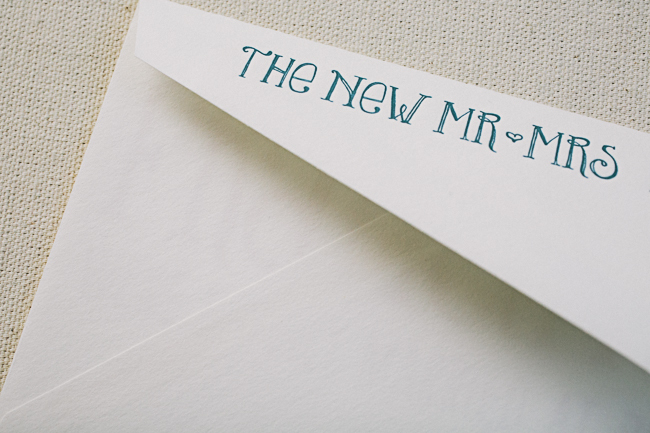 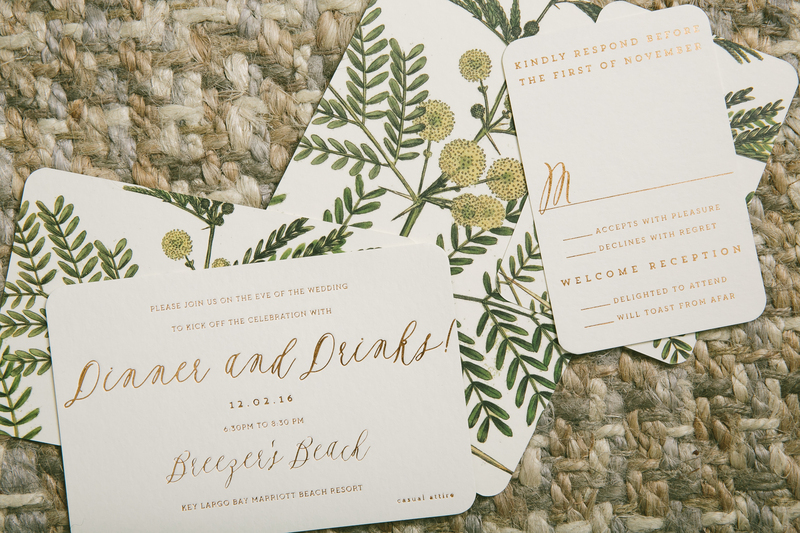 The contemporary #10 sized announcements were paired with Ridley patterned envelope liners in our peacock ink, along with a cute return address indicating “the new Mr. & Mrs.” – what a fun idea! 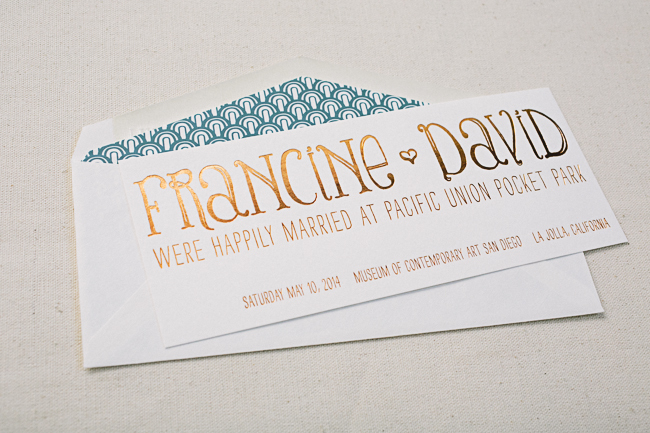 No, your eyes are not deceiving you – this version we did of our Aneto design really is this awesomely amazing. 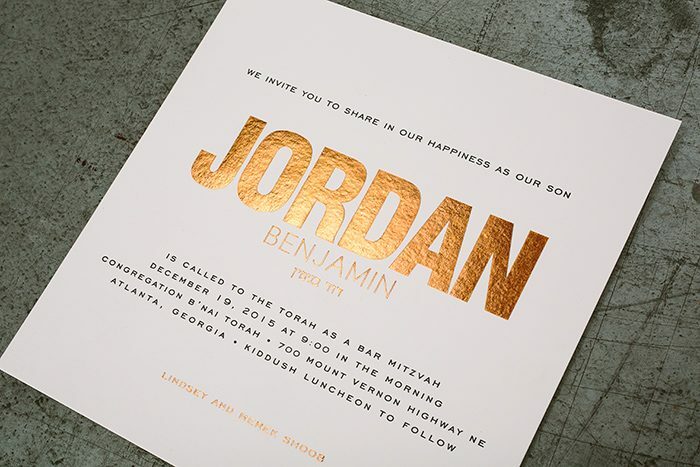 The copper shine foil stamping looks so good with chartreuse letterpress ink! 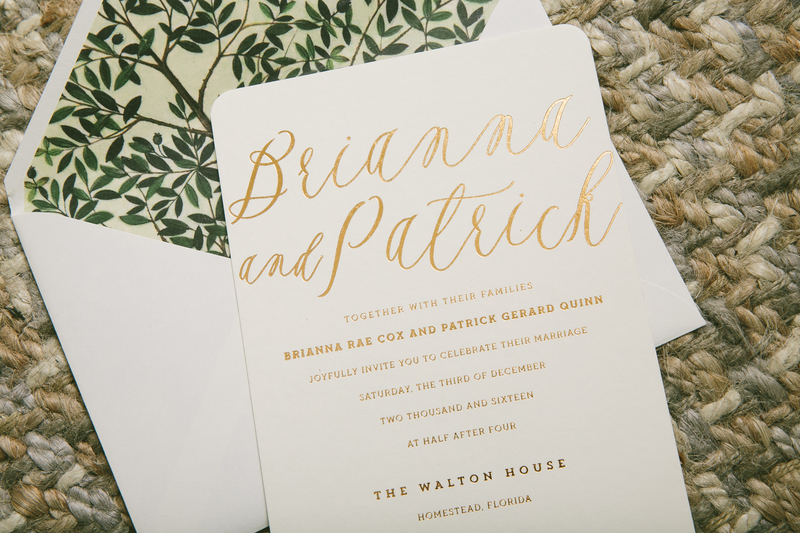 Such a good combo. 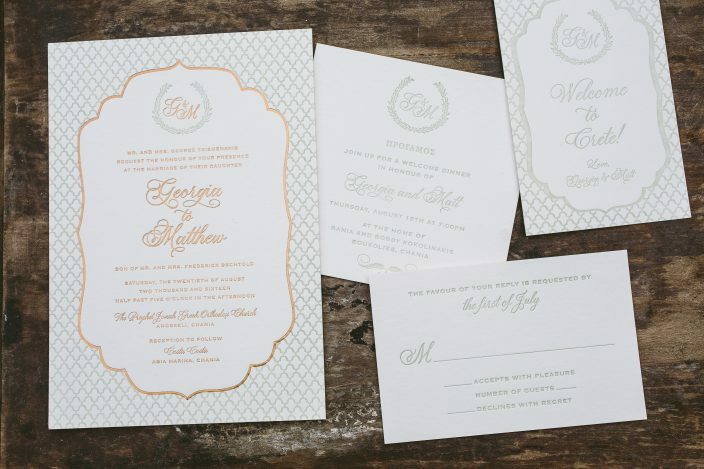 We can’t take all the credit though – this order came to us courtesy of Salutations, Chapel Hill – thanks guys!